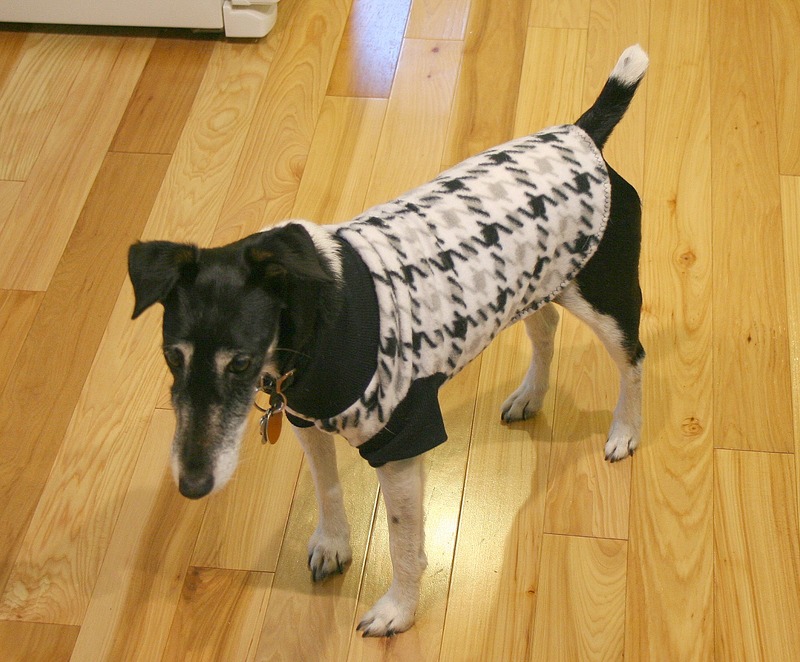 I do love a houndstooth print and my fox terrier Wendy agrees. She is sporting her new indoor sweatshirt made with houndstooth fleece. Since Wendy is a senior citizen she needs a little extra help to stay warm when it is especially cold outside. I had this stylish tog custom made by The Crafty Twins. Their Etsy shop has lots of goodies for pets and their owners. Rosemary and Judy were a pleasure to work with and my custom made purchase was delivered in a fast couple of days.